I love a decent hot bowl of porridge and when I heard about a cafe in Nørrebro called simply Grød (porridge) and sells only that and risotto, I had to go. 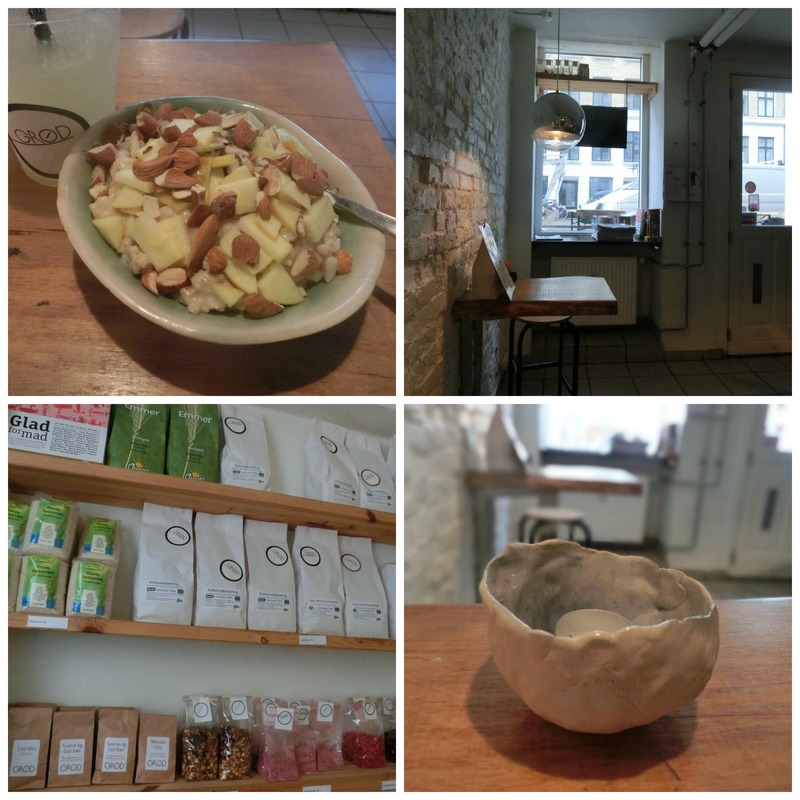 The tiny cafe is located on the trendy Jægersbroggade and is super hyggeligt. The chap behind the counter was passionate about porridge and risotto and I got a great tip to make mushroom risotto more exciting. I chose a regular oat porridge topped with chopped apples, chunky almonds and Grød’s homemade caramel sauce. It was amazing. The porridge was the perfect consistency for me, thick but not gloopy and the caramel sauce gave the right amount of sweetness. I am sad to say that the bowl was just too big for me and I was unable to eat it all (I of course ate all the toppings!). They change the menu monthly both for the porridge and the risotto and use seasonal ingredients. 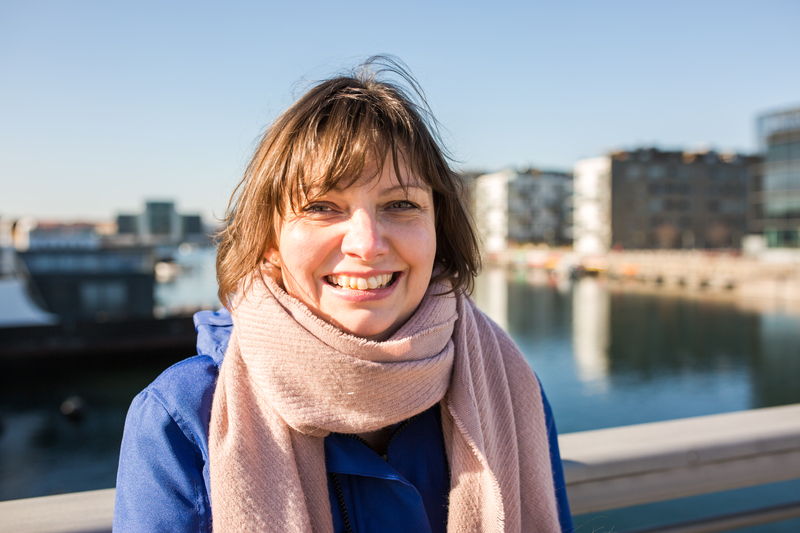 I was delighted to see loyalty to other businesses in the street in Grød. They use handmade bowls and candleholders from a local ceramicist based called Vanishing Point and the wines in their risotto come from the local wine merchant, Manfreds. All dishes can be takeaway and they sell an extensive selection of dry porridge oats and toppings including the caramel sauce to take home. For those with special dietary needs there is a gluten free and lactose free choice on the menu that sounds just as delicious as the other choices. They will also make smaller portions for children. 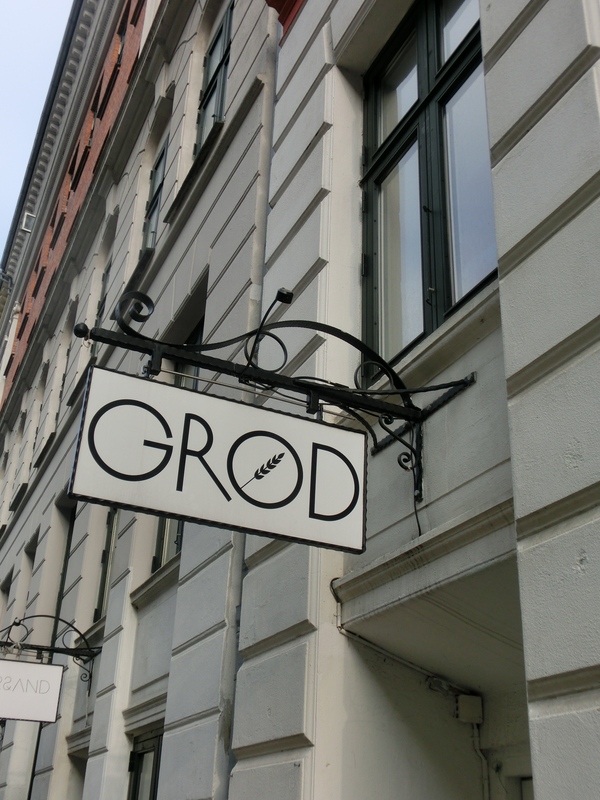 If you can’t make it to Jægersbrogade, Grød have an outlet in Torvehallerne with the same menu. OMG! Everyone in our family is a massive porridge fan! In Edinburgh there’s a “porridge bar” at the farmers market, which sounds just like this place. Totally have to go here next time I’m in CPH! !